Consider This Before You Work in Social Media [guest blog post by Adam Buchanan] | Build. Connect. Engage. Well hold on there kiddo, let’s have a sit down about what it means to work in one of the fastest growing industries in our generation and what this career demands. In this post I’ll outline what social media marketing requires and destroy a couple myths along the way. If you’re considering getting into social media marketing read below to determine if your personality fits what this job requires. When was the last time you hustled someone? I mean truly got into a negotiation and got them to change their mind from black to white. It could be a craigslist transaction, a dispute with a police officer, or my personal favorite; influencing your spouse to do something you never thought you’d get them to do. In social media marketing you’ll need to influence others frequently and for the long haul. You’ve got to shift perceptions and make it stick. You’ll hustle to make things happen at your company. You’ll have nothing and you’ll have to turn it into something. You have to be a self starter and a producer. But you need to get as many people to join your movement as possible. You might have the best salsa at the party but if you can’t get anyone to eat it, pack it up and go home. 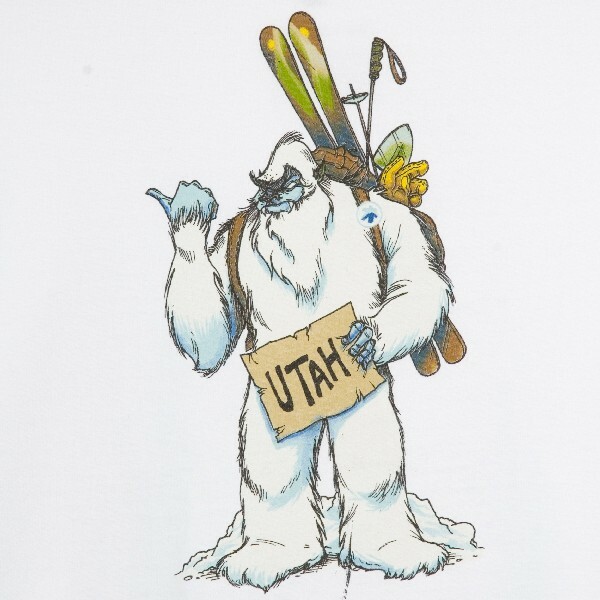 Very early in my career in social my partner and I set up the twitter and facebook of the Ski Utah Yeti, a mascot that touts Utah as the Greatest Snow on Earth for skiing. I would stay up till midnight some nights instant messaging with customers about their ski vacations to Utah through the facebook page. No one asked me to. It wasn’t in the job description. I just did it because it was worth trying. And I loved every minute of it. Enter into any contests or sweepstakes lately? See that link that says ‘Terms and Conditions’? Say hello to your new best friend. You get to write those now! And you get to do it with your legal team! You’ll need to be detail driven and be able to catch mistakes in these documents. You’ll have to own these top to bottom. And that’s just child’s play compared to what you’ll be doing for other projects involved with legal. When your company buys into social media and wants to start doing larger projects that involve privacy policies, they’ll look to you as a reference and guide for how to put this together. Buckle up. please do not work in social media. You’ll be very disappointed and be very unhappy in this line of work. “That’s not my responsibility.” or “That’s not in my job description.” If you’ve ever said this to a superior rethink social + you. Social doesn’t really have a job description. I mean, we do to make human resources happy, but that’s the only reason. That little piece of paper will change. On your first day. “I don’t have time for that.” No one does, and guess what? Social doesn’t sleep. There will never be enough time. Ever. But somehow we make it work. Do not say this out loud. Ever. “We tried that and it didn’t work.” Ok – I get it. You A/B tested the heck out of something. Well guess what, we’re trying it again. Because when you tried it that was 3 months ago which is lightyears in social, I wasn’t aware nor did you report on it. So buck up and try it again. After you try it, report it, make a case that it doesn’t work, then you can earn the right to say this. “I don’t know.” Wait, did you stop talking? That’s your final answer? You don’t know? Now don’t get me wrong, I’m not saying I know everything. But if you leave it at those three words they will bury you. If you find yourself responding with this often and then walking away, social+you will not work. Sorry, not sorry. “I hate twitter, it’s dumb.” Don’t talk to me right now. I can’t count how many times I’ve heard social and digital marketers say this. That’s like saying websites are dumb. At age 5 this is who I wanted to be. I didn’t know the word for mascot so I described it. I wanted to be in peoples faces revving up the crowd and making people smile. Mascots don’t use the phrases above. They know everything, they are sure of everything, they’ll bend over backwards to make something happen. They’ll battle the other mascot without asking permission. Mascots make great social media marketers. I would argue ownership and accountability are the most important traits to have to work in social media. You have to own your program and own it well. You need to speak to it on the fly and be confident in how you’re steering the social ship at your organization. When you are challenged on why you do something a certain way and you tend to crumble easily and crawl into a cave while the storm passes, social media is not for you. You will get challenged. It will be in front of a lot of people. There will be an awkward silence. And your director will be counting on you to represent the program. Accountability has to be top of mind. If you tend to point fingers and constantly displace blame you will fail in social media marketing, if not in marketing or business (and life?) in general. One practice that I personally adopted early in my career was ‘Own up quick. Turn a solution quicker’. This doesn’t mean that you constantly say that it was your fault and make people think you’re so great because you always take blame. It means you own up, and be ready to resolve. Have reasoning behind the reasoning and move forward. And for heaven’s sake do not make that mistake again. When you work in social media, you’re already on thin ice and eggshells. People think you’re the joke of the company and get to play on facebook all day. You have to prove them wrong. Everyday. Everytime. 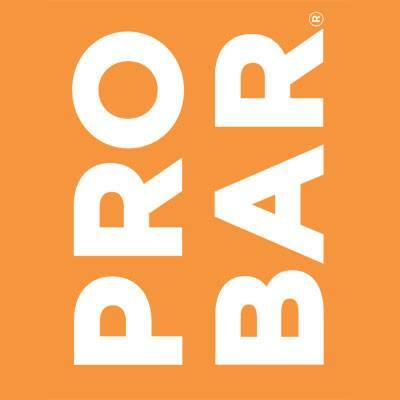 Probar was one of my favorite brands to work with. It taught me a lot about the image of a brand and working with a team. One day I posted the companies 1-800 number on the facebook page and said, ‘Call in and order your bars!’. The call center got flooded with phone calls and they asked me to take the post down. I promptly did, apologized, and owned it. Pretty sure we sold a couple bars though. I talk to a lot of my colleagues about projects they are working on and challenges they face. One common disease that plagues this industry is people do not think outside of their channel. They become so immersed in social media that they can’t see straight. They become bitter. They are ‘have nots’. They blame. It’s the ultimate black eye to this industry and if you tend to fall into these traps you’ve got to find a different career track. Please take this seriously because it affects me and my colleagues that I care about. It’s important to constantly create relationships and constantly nourish those relationships. It’s all about give and take. Do you naturally walk into a room with a lot of people and make things happen? You don’t have to be the star of the show but look at the last 5 public events you attended. Are you delivering your expertise and value that you bring to the table to those who need it? Are you respectful when you ask for help? Are you even talking to anyone? You have to be a connector. You have to focus on ideas that deliver, not just fancy creative ideas that stay on the whiteboard of doom. You have to concept, produce, ship, and report. You have to create something that everyone who doesn’t believe you finds value from this creation and see it through till the end. If this sounds hard it’s because it is hard. 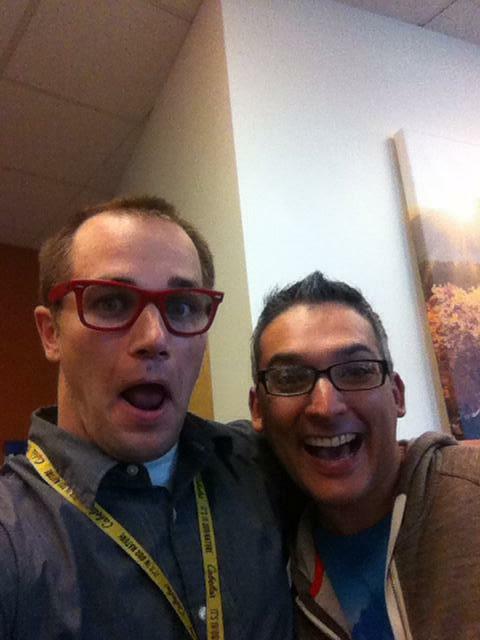 This is Yiorgos, one of my favorite colleagues of all time. We worked at Columbia Sportswear together and worked close on quite a few projects. He looked out for me, I looked out for him. I looked outside of social, he looked outside of his channel and we had great success. I’ll never forget his willingness to work together and am always inspired when his handsome greek face shows up at a tradeshow I’m attending. 6. Social Media User and Social Media Marketer are not the same. Just because you know you’re way around a facebook account doesn’t mean much in the world of social marketing. This industry is made up of creative, driven, rule breakers that live in the gray. They have their house in the gray, they park their bike in the gray, they eat lunch in the gray, they vacation in the gray. I’ve found that my problem solving skills have been pushed to the edge so often the edge is no longer an edge, it’s a rounded hill. The thing with social marketing is you create problems, then solve them, then go create more problems, and then solve those. All while achieving company objectives. You need to know how to sell stuff online. If you don’t have any experience go find a product and sell it on social. That’s right. Go find a widget and sell it. You can create a website for $20~, set up a paypal, buy some stuff, and resell it. If that doesn’t get you amped then forget social marketing. I firmly believe that you need to be a great salesman to work in social marketing. I started my sales career early at the age of 8 years old. I stole rocks from my neighbors, painted them, and then sold the rocks back to my neighbors for a 300-800% margin. Business was good, and totally shady. I dabbled in the pine cone market for a couple weeks. Inventory was high but demand was low since most people already had pine cones in their yard. Lemonade did ok in the summers. But where I really got into the cash was selling my expensive toys and books my mom bought me. Buy high, sell low. Hey, cash was cash. You not only have to sell your product, you have to sell social. I’ve sold social to a variety of audiences. They all come with different challenges but that’s what gets me up in the morning. When I get to stand in front of 200 people that don’t believe me, I get an adrenaline rush when I walk off stage and people are nodding their heads in agreement by the end. They bought in. And I sold it to them. A complete rush. If this sounds like a foreign language to you or scares you to death, social is not for you. You will do this everyday on the job. 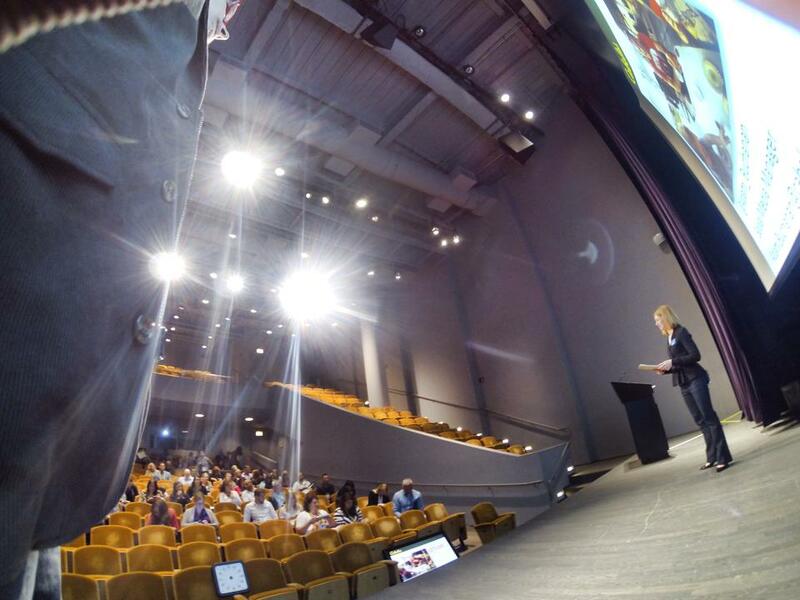 This picture was taken by me with my GoPro on stage of a conference I was speaking at in Chicago. I presented on recent work Cabela’s had been doing in social media but what I was really stoked about was sharing with people on the idea that co-creation with your customers works and can be done. While most people walked away with some learning about customer service, people really got amped on co-creation. You are always on. It’s one of the challenges that comes with the social media gig. You need to accept the fundamental principal that social never sleeps. Some customer or blogger in the world is going to take your brand down to the wrestling mats in front of all their friends. And they may choose to do this on a Sunday morning. When you get a text or an email from an executive asking you what is going on, this is not the time to crumble. I’ve been through my fair share of odd-hour situations. Talking to a disgruntled winner of a contest on my cell phone in my kitchen while I helped my wife get ready for dinner. Sunday, on vacation, had a fairly substantial fire call I had to resolve. Lot’s of phone calls with bloggers at my home. I normally called them early in the morning or in the evenings to accommodate for their time zone. 4 AM twitter and facebook promotion for an event. From my couch. Break from Thanksgiving dinner to send out reports. Break from Christmas afternoon to answer tweets. Answering urgent emails and dialing into conference calls while on the ski lift. The nerve! I’m skiing! How dare you schedule a meeting while I’m skiing! I could keep going. Each instance I never felt disappointed or pissed at my employer. I knew this was part of the job. I know companies have invested a lot in me and I need to make sure I keep my end of the bargain. After all, I was the one who got them to buy into this in the first place, it’s only fair I help dig us out of this mess. 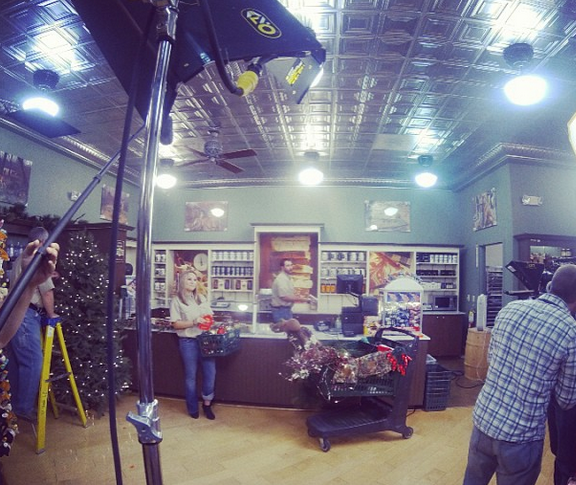 Here’s a shot from a super late night of a video shoot at Cabela’s for some social videos. Such a fun group to work with. They are dedicated folks who work hard. We wrapped up around 2-3AM. Yes – I’ve had some late nights, but they have always been rewarding. I’m pleasantly impatient. In social marketing you have to be calculated and be willing to take risks. If you are a pessimist who lives in constant fear or what might go wrong; social is absolutely not for you. Here’s the thing; things will go wrong. Not if, it’s when. But what you’re placing your bets on is when they go right, with practice you get it right more than you get it wrong. The biggest weakness to have in social marketing is self destructive fear. Fear that freezes your soul at the mere thought that someone over your shoulder is constantly watching and waiting for you to fail. However, when you look behind there is no one there. If you’re naturally a person that lives with anxiety social marketing will be rough. It will eat you alive. You can’t wait. You have to go, do and optimize. If you sit and wait for more resources, buy in, budget, people, warm fuzzies from everyone in the company, you will fail. Your program will fail. And everyone will frown. If you don’t have experience in social marketing go get some. Go create your own online business and social market the heck out of it. Or go work with a company that will give you a chance to help with their social marketing. Learn more about not being afraid and the etiquette of social media marketing in my ebook, The Never Ending Cockatil Party on Amazon. One of my favorite events ever in my career. 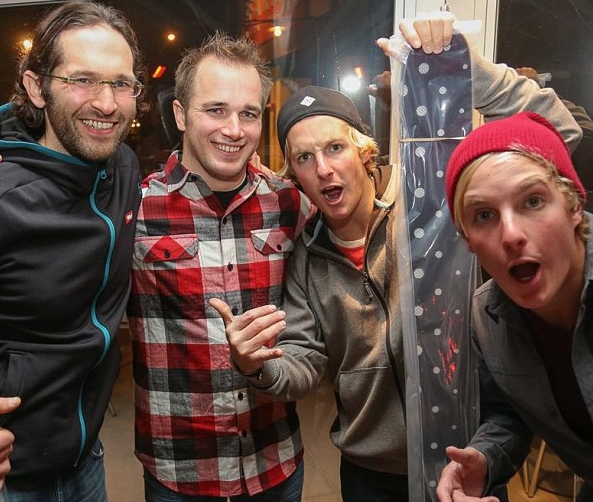 At Columbia Sportswear we put together an epic weekend with 10 bloggers to do some awesome gear testing. We made plans. We put together details. We made it happen. We didn’t sit around and wait for the right time or for the stars to align. We freaking made it happen. Super proud to be part of that team. And yes, there were instances during that event that scared me, but I didn’t crumble; I cranked. Photo credit; Mark Going at Columbia. Companies that are hiring for social media positions are looking for self starting, problem solving, goal achieving, numbers driven, creative rule breakers. In the ten years I’ve been doing this no one has ever asked what my GPA was in college. No one asked me what I majored in. Challenged me on what higher education I have or don’t have. Companies want people who are overflowing with experience. They want someone who can walk into a junk yard and turn it into a beautiful lot that sells slightly used re-purposed metal. As I have worked for different companies I brought with me experiences. I brought results, conflicts/resolutions, and project management experience. Early on those experiences were fairly light and may have been scoffed at by most. But that brought me to the next level and the next. Take what you have now and build upon it. If you’re waiting for more time, experience, opportunity, and ‘just the right time’ you’ve missed it. The boat has come and gone. You have to swim out in the nasty black water and grab that boat and hang on. If you don’t, someone else will. Got some tips to share? Share your knowledge in the comments below. I agree, Andy. 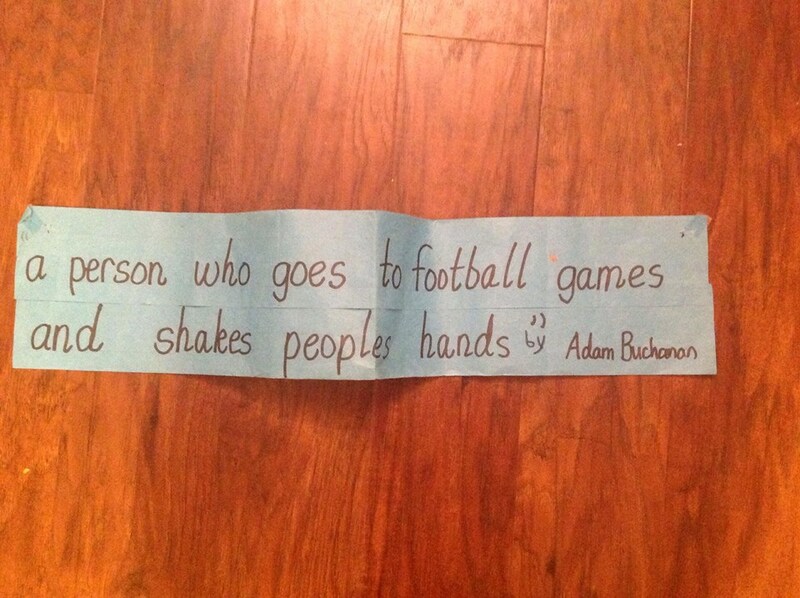 Adam wrote some great nuggets of wisdom here. Just because someone has personally used Facebook or Twitter extensively, does not mean they are qualified to manage social media marketing for a business. Adam is adept at understanding how to use social media to help businesses meet their goals.